The extent to which Willa Cather was interested in and influenced by art has been carefully documented by Polly P. Duryea in her 1993 dissertation Paintings and Drawings in Willa Cather's Prose: A Catalogue Raisonne. To facilitate appreciation of Cather's art allusions, I have gathered together here images of the art identified by Duryea and selected quotations and commentary from her dissertation. Cather's Death Comes for the Archbishop (1927) is a novel about two nineteenth-century French priests, Father Vaillant and Father LaTour, who come to America to establish a mission in the southwestern desert which changes them. 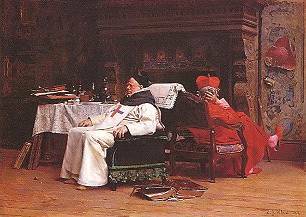 The Missionary's Adventures by Jehan-Georges Vibert (French, 1840-1902). Titled The Missionary's Return by Cather. him (as is also suggested by the following Vibert paintings). 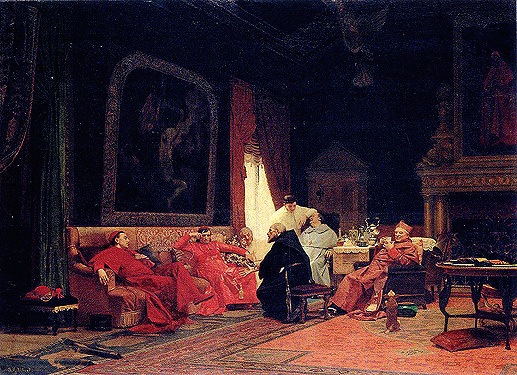 Jean Georges Vibert, (left) The Appointment and (right) The Schism, later 19th Century. 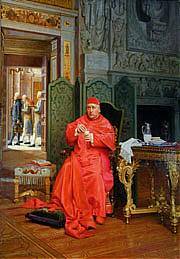 "It was a painting, by the way, that made the first scene of that story [Death Comes for the Archbishop] for me. 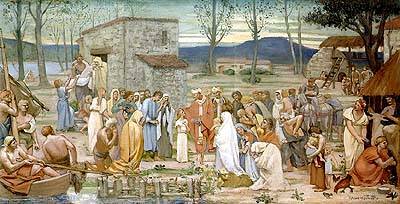 A French painter, Vibert, one who did a precise piece of work in the manner of his day, called 'The Missionary's Return.'" (Small, Harold. "Willa Cather Tells 'Secret' Novel's Title." San Francisco Chronicle 26 Mar. 1931: 13; WCP 109 [Arnold 1931.44]. According to Duryea, "Saint Joseph, the Carpenter+, and the Penitent Magdalen+ were both works referred to by Cather but with the painters unnamed. 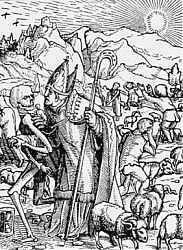 The Bishop in Death Comes for the Archbishop is named Latour. 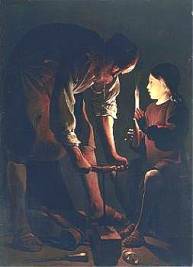 Cather probably recalled La Tour's Saint Joseph for the Ácoma Altar-painting of `St. Joseph' (DCA 88)." 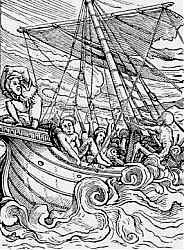 "At Ácoma," he said, "you can see something very holy. They have there a portrait of St. Joseph, sent to them by one of the Kings of Spain, long ago, and it has worked many miracles. If the season is dry, the Ácoma people take the picture down to their farms at Acomita, and it never fails to produce rain. 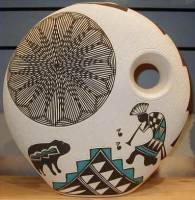 They have rain when none falls in all the country, and they have crops when the Laguna Indians have none" (DCA 88, again on 197). According to Duryea, "In Death Comes for the Archbishop, Cather leaves a question for the reader as to whether or not the painting of St Joseph might be the lost St. Francis by El Greco; in any case the purpose of the painting shifts slightly from an interceding Saint devoted to the worker to become a fetish for rain-making. (Tenorio, Mary. `Letter to author' 25 Oct. 1992. Pueblo de Ácoma, Acomita, NM 87034)." 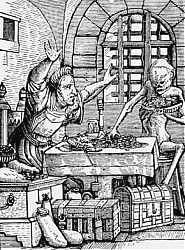 "He wheedled a good sum of money out of the old man, as well as vestments and linen and chalices--he would take anything--and he implored my grandfather to give him a painting from his great collection, for the ornamentation of his mission church among the Indians. My grandfather told him to choose from the gallery, believing the priest would covet most what he himself could best afford to spare. 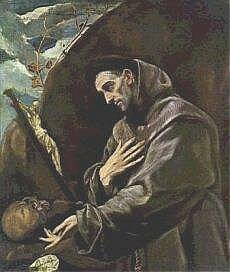 But not all; the hairy Franciscan pounced upon one of the best in the collection; a young St. Francis in Meditation, by El Greco, and the model for the saint was one of the very handsome Dukes of Albuquerque" (DCA 11). According to Duryea, "In her novel Death Comes for the Archbishop the El Greco painting of St. Francis may cryptically change into the portrait of St. Joseph, the altarpiece at Ácoma Pueblo (DCA 88, 197). Cather confuses the reader in what may or may not be a vague suggestion for the transmission from one painting to another." 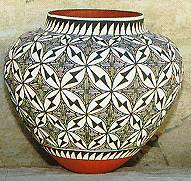 "Hundreds of years ago, before European civilizations had touched this continent, Indian women in the old rock-perched pueblos of the southwest were painting geometrical patterns on jars . . . " (1936 "Escapism," in On Writing 19). 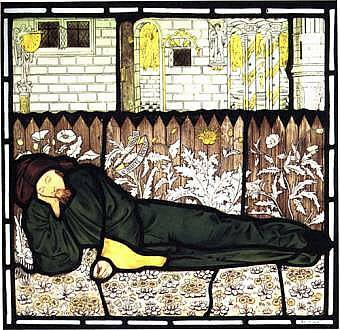 According to Duryea, "Chaucer, the dreaming poet who is turbaned and classically robed, lies on the grass with his right arm supporting his head. Two elegant angels look on. Lining the canyons near an ominously dark pool stand classical maidens in rows of diminishing scale. 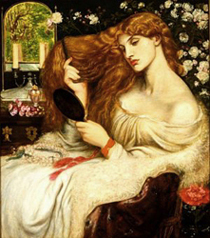 Entranced and dreamy, each awaits her turn to tell stories to the sleeping Chaucer." 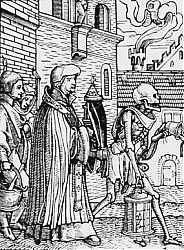 According to Duryea, "Cather may have patterned several characters in Death Comes for the Archbishop after Holbein's satirical woodcuts and then related a Chaucer-like tale for each one of them." 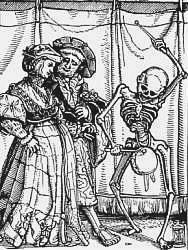 Hans Holbein the Younger, Dance of Death or Totentanz Series (above). Selected Prints/Wood Engravings Linked to Cather's Characters by Duryea. 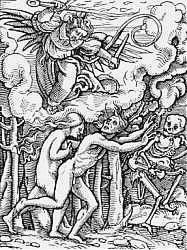 According to Duryea, "The artist's symbolic characters depict personae in different life-professions and invariably each one ends in death. 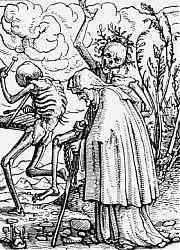 Holbeins's wood engravings in Dance of Death are directly related to Cather's title for Death Comes for the Archbishop. . . . 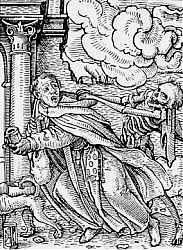 Furthermore, Cather may have patterned several characters in Death Comes for the Archbishop after Holbein's satirical woodcuts and then related a Chaucer-like tale for each one of them." 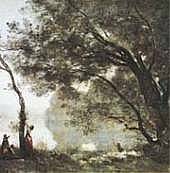 According to Duryea, Cather "compared her own prose composition to 'the style of legend' found in Puvis de Chavannes' frescoes that she had seen in Paris.' A Letter from Willa Cather [on Death Comes for the Archbishop]' Commonweal 7 (27 Nov. 1927): 713 [Crane D587]." Most art critics mention the flat, decorative effect of a Puvis fresco. 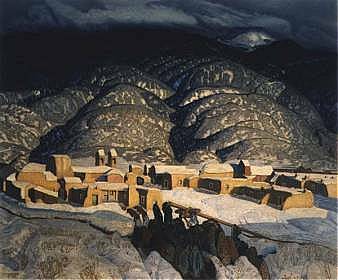 This Taos painting has been cited as being in the style and spirit of DCA, although Duryea notes that Cather's friend Blumenschein did not illustrate Cather's novels as had been stated elsewhere.